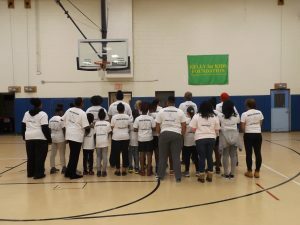 Every Sunday you can hear the sound of basketballs bouncing on the second-floor gym floor and dozens of young girls playing and interacting with women leaders showing them the ins and outs of basketball. 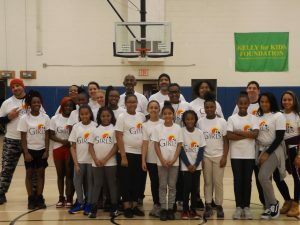 The G.I.R.L.S Sports Foundation is an athletics and educational mentoring program set up to work with young girls ages 4 to 18 who are living in under served communities throughout the City of Buffalo. Founder Cecelie Owens, Principal at West Hertel Academy, established the foundation so there would be a healthy opportunity for parents and their daughters to learn and grow together, and help prepare them for a strong and positive future. With the help of four female volunteers who played basketball at the collegiate level, Owens holds a weekly basketball clinic dedicated to young girls at the GJP Community Center. 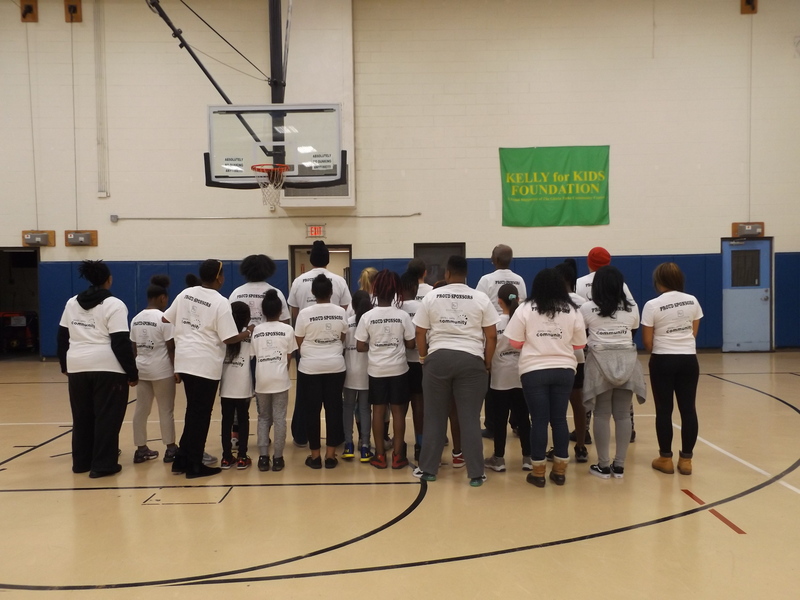 About 30 girls consistently attend the program, which runs fro m 1:00 pm to 4:00 pm each Sunday, and most recently, held a special t-shirt day for participants and their parents to show off their progress. While the program has seen consistent numbers, more and more young girls are learning about Sunday’s at GJP, and coming to see what the program is all about. The program is free and open to interested girls, and has been made possible by the generous support of the Ralph C. Wilson, Jr. Foundation. Please contact the Athletics Program Director, Kevin Ferguson at 716-832-1010 ext 205 or by email if you have any questions.